Ajummarous elements are prevalent but stereotyped view about ajummas somewhat disdained ajummas. This perspective on an ajumma that judges ajummas by their characteristic appearances can cause a slated and biased view. In a popular Korean joke, there are three different genders-men, women and ajumma. 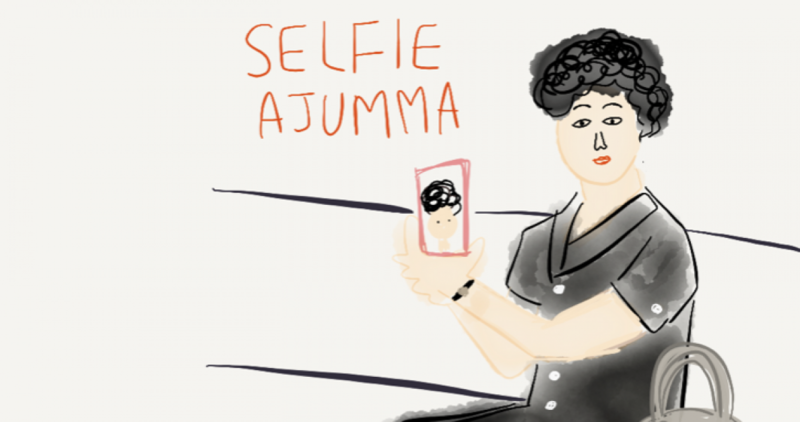 Ajumma is categorised as the third gender-neither male nor female. Analogically, we can assume that the general awareness of Korean society about the collectiveness of ajummas’ existence and the distinct characteristics of ajummas are not very positive. In other words, ajumma is recognised as not a woman, rather just ajumma itself. For next post, I will give you examples that explain how ajummas are treated in Korea (with biased views about them). Posted on 22 Dec 2015 22 Dec 2015 by moon ajummaPosted in Smart Ajumma (English)Tagged ajumma, 아줌마, Korea, Korean women, the third gender. Previous Previous post: Ajumma is strong!